This beautiful part of your body is being neglected. I have been seeing a running theme in my practice and even out and about on the street. Ladies, why are you wearing ill fitting bras, that has absolutely no support to them? I hear all the excuses… ”oh this is just my lazy day”, or “this is my bad bra”, or ”my other one is in the laundry”, or “I just came from a work out”….again, all EXCUSES!!!! Bra’s that you bought 10 years ago, throw them out!!! Even one’s you bought 2 years ago, look at them closely! Does the elastic still support you the same way? Does the CUP??? Have you washed them….and dried them???? How many do you have in a rotation??? I bring up the subject because, we can’t take our breasts off like we can our bras, SOOOOOOO we should support them take pride in what we have, support them the way we do our bodies with exercise and nutrition. If you have not been fitted go! There are some wonderful places here in Ottawa that are fabulous and EDUCATED on proper fitting BRACHIC and MARIANNES. Whether you just had a baby, have goals to get back to a certain size, have ongoing neck and shoulder pain, or headaches….whatever the reason, if you have never been sized by a professional, set up an appointment and go. If you were sized 5 years ago, go again. I promise you, the relief of a proper fitting bra is worth it! And the satisfaction of looking good is even better! NO MORE EXCUSES! * This post originally appeared on the Whole Therapy website. 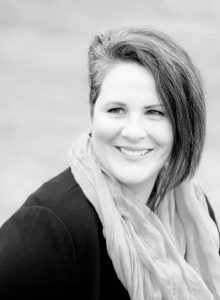 Tara Hagan-Fields is an RMT with Fascial Connections Myofascial Release & Wellness Centre. Tara is a Women’s Health Specialist and Expert Myofascial Release Therapist. She focuses on the body as a whole and teaches you to do the same. More about Tara here.